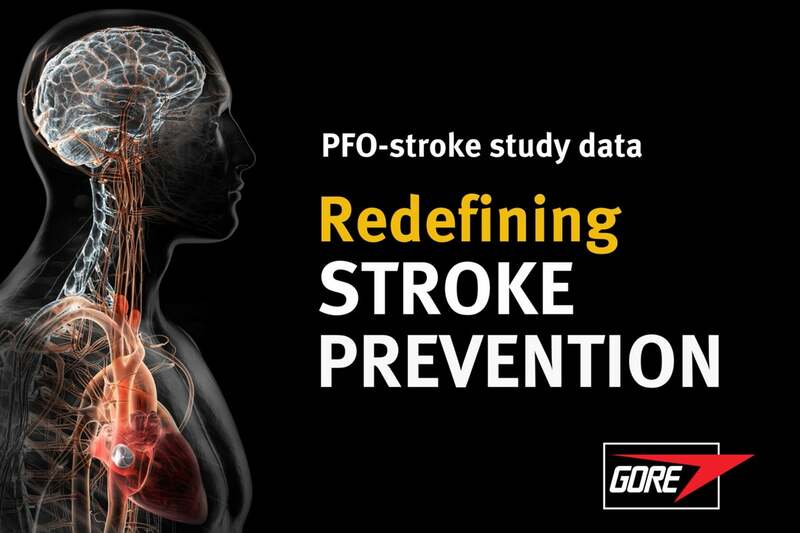 THE ADVANCED SOLUTION FOR STROKE TEAMS AND THEIR PATIENTS. 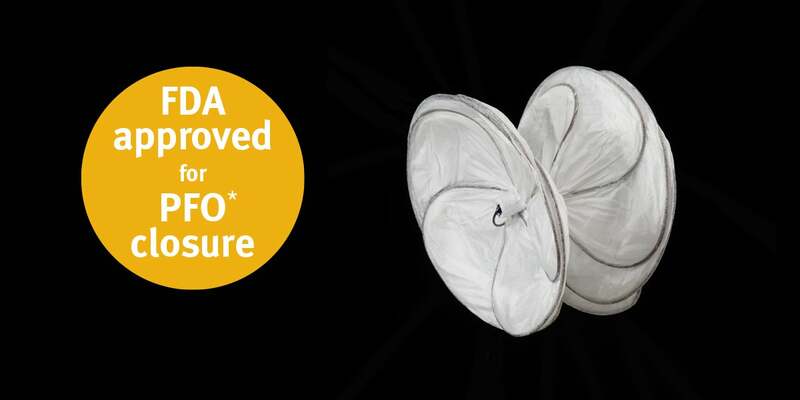 Made from Gore proprietary, thromboresistant ePTFE** material, the GORE® CARDIOFORM Septal Occluder is designed with two independent discs that span and cover the anatomy of PFOs. WATCH how the GORE® CARDIOFORM Septal Occluder is implanted. This information is intended for education and awareness only. Patients should consult their physician for information on the risks associated with the devices and surgical procedures discussed in this website. All surgical procedures carry potential health risks. Not all patients will be candidates for treatment with these devices, and individual outcomes may vary. Always follow physician advice on your post-surgery care and recovery. Refer to the Instructions for Use for a complete list of warnings, precautions, contraindications, potential adverse events, and patient-specific information. Caution: U.S. law restricts use of this device on the order of a physician (Rx). 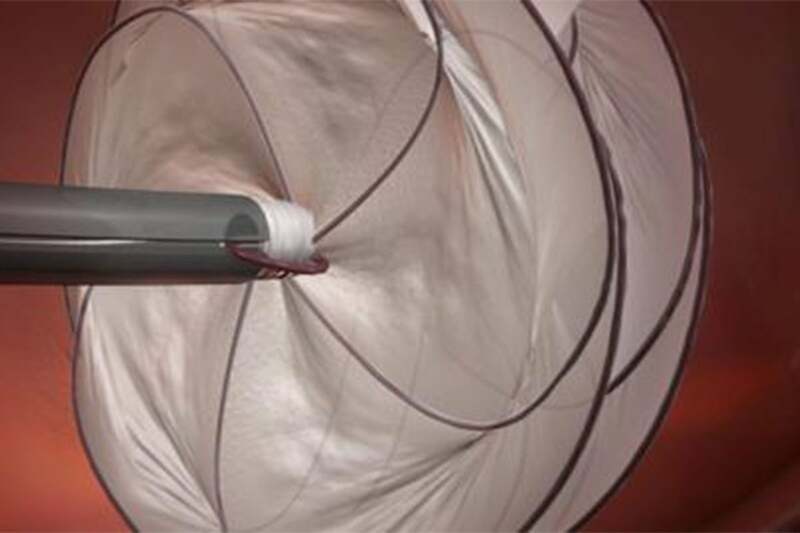 † GORE® CARDIOFORM Septal Occluder effective closure rate results in device group subjects who received a study device. Effective closure defined as freedom from large shunt > 25 bubbles as detected by transthoracic echocardiography adjudicated by echo core lab. 1.) Søndergaard L, Kasner SE, Rhodes JF, et al; Gore REDUCE Study Investigators. Patent foramen ovale closure or antiplatelet therapy for cryptogenic stroke. New England Journal of Medicine 2017;377(11):1033-1042.